Before I began teaching, I worked at a Title One School as the Title One Aide. Part of my responsibilities included helping a fabulous first grade teacher with an after school program. 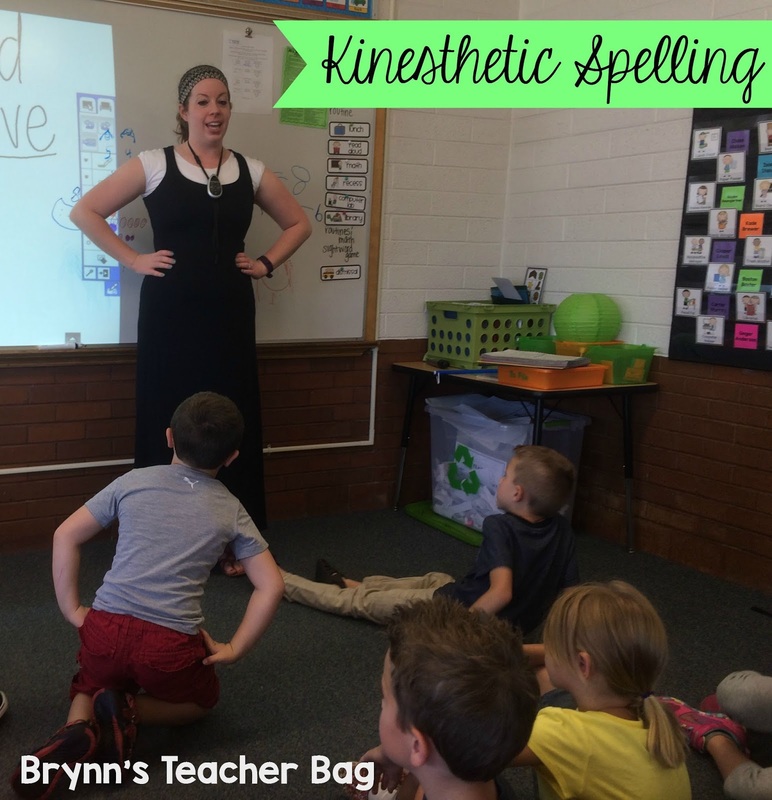 From her, I learned a way to get the kiddos up and moving while spelling their sight words. Before I describe to you what I'm talking about, I will tell you, this could really be used for any words. I use this for high frequency words, spelling words, sight words, or any word my students may be struggling to spell. I start by drawing lines on the board, or bringing up digital lined paper. I write the word we are working on, on this. I say the word and we read the word together. 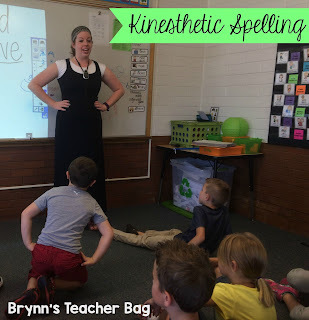 Then, I spell the word modeling this "spelling with our bodies," as I like to call it. I show the students that if a letter touches the top line, like the letter h, then we jump up and pretend to shoot a basket while saying the letter. Then, I tell them that if a letter touches the middle line, like the letter i, we touch our waists as we say the letter. If a letter goes below the bottom line, like the letter y, then we touch our toes as we say the letter. Overall, this gets my students moving and learning! You can't beat that double whammy! Try it with your class and let me know how it goes! Have a fabulous three day weekend!